Matt Kenseth pulled ahead out of the last caution, getting away from Jimmie Johnson to win at Kentucky and pick up his fourth victory of the year. By the way, guess who was on the cover of NASCAR Pole Position for Kentucky — Matt Kenseth! 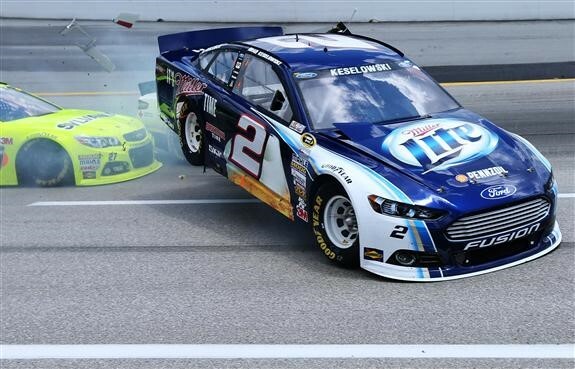 The race also featured a scary accident that included last year’s winner, Brad Keselowski (pictured).